Each year, Rome Clean and Green engages hundreds of volunteers from all ages and walks of life to keep our city clean, green, and beautiful. 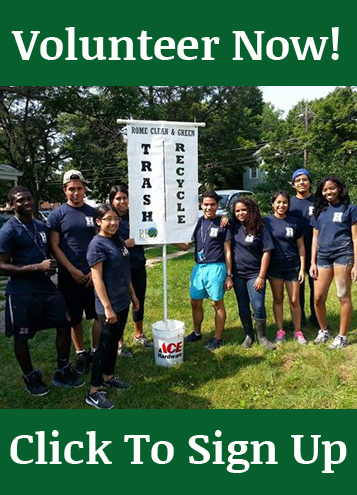 Becoming a SPONSOR is the perfect opportunity to garner your business recognition in the community while supporting an event that mobilizes hundreds of volunteers and removes tons of litter from our city in the very neighborhoods your business is located. Find out more information about how your business can become a SPONSOR, donate door prizes, or provide cleanup supplies by contacting us today!